Like nurses, Medical Assistants are truly inspirational. With their extraordinary skills and compassionate natures, Medical Assistants touch people’s lives on a daily basis. They play a vital role in the healthcare industry and the wellbeing of their patients. You may ask yourself, what does a Medical Assistant do? The following is a small sample of tasks that a Medical Assistant typically completes: managing patient medical records, handling insurance forms, and scheduling appointments. Medical Assistants have usually been educated in subjects like medical terminology and basic anatomy. At our Bakersfield Campus, we strive to equip students with the knowledge and skills they’ll need to excel in their chosen career paths. Unitek’s Medical Assisting program prepares students with dynamic courses that include both clinical and administrative training. The following are some commonly asked questions about Medical Assistants. We hope you find our answers helpful. Q: What is the role of a Medical Assistant? A: Medical Assistants play an important role in the healthcare industry. They provide support by assisting both doctors and registered nurses. They also frequently interact with patients and their families. Typically, their duties include taking medical histories, recording vital signs, and preparing patients for examination. Among other things, they also collect lab specimens and sterilize medical instruments. Q: Is Medical Assistant certification a requirement? A: Certification is not a state or federal requirement for Medical Assistants. However, graduates of Unitek’s program may be qualified to take various certification exams. These include the NCCT exam for the National Certified Medical Assistant (NCMA) credential and the American Medical Technologists (AMT) to gain the Registered Medical Assistant (RMA) credential. While such credentials are not required to graduate, they may be of value depending on a student’s particular career goals. Unitek faculty members are available to counsel students seeking such certifications. Q: What is the career outlook for Medical Assisting? A: Employment opportunities are predicted to grow 29 percent by 2026.1 This rate is faster than the average of all other occupations. In 2016 alone, Medical Assistants held 634,400 jobs. As stated above, employment opportunities are projected to increase 29 percent by 2026.1 According to the Bureau of Labor Statistics, a higher demand for Medical Assistants is anticipated due to longer lifespans in the elderly population. In order to treat as many patients as possible, doctors will hire more Medical Assistants to help with clinical tasks. Unitek’s Medical Assisting program uses a dynamic approach to teach students. This approach consists of expert instruction, simulation training, and a supervised externship. The courses also place emphasis on vital attributes in the workplace, such as teamwork, communication, and professional behavior. Additionally, our program takes just 9 months to complete. 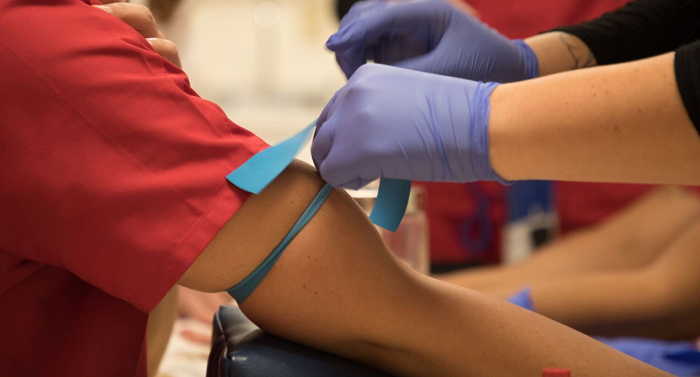 If you’d like to pursue a rewarding career but your time is limited, then Medical Assisting might be the right choice for you. Unitek College is a private, accredited institution with seven campuses. The Bakersfield Campus is located in Southern California, between the Golden State Highway and Stockdale Highway. Several programs are offered, including Medical Assisting, Medical Office Administration, and Vocational Nursing. Additionally, the campus maintains numerous classrooms, skills labs, and computer labs. There is also a student lounge that is easily accessible. If you’re looking for Medical Assistant training in Bakersfield, please contact us at (888) 912-8512.